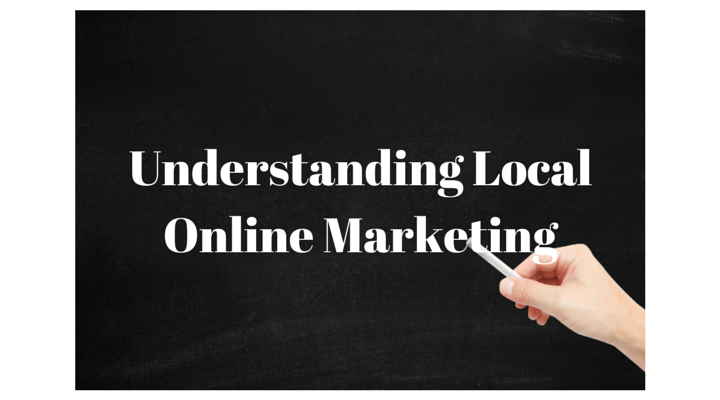 Understanding local online marketing can be confusing to you the local business owner. There are numerous options and you are probably receiving sale solicitations constantly concerning the topic. Before we present what we can do for you concerning your online marketing efforts, we want to provide you with a backdrop for understanding local online marketing. Read through this brief overview of the local online marketing environment so that you can make an informed decision concerning it. In general you want your business to be found online by the right people at the right time. Most likely this will be your past, current and/or prospective customers. When they find your business online, it could be in the form of your website, a listing on a directory, a 3rd party website, maps and/or on one of your social media accounts. When it’s found, you desire that person (customer) to perform a certain action. This could be in the form of a phone call, the submission of a contact form, the checking of your address to find out where you are located, your hours and more. You desire all of this to result in some type of monetary transaction, such as a purchase at your establishment. Achieving this end product is both a science and an art. Your Website – Is the hub of your digital presence and should be an asset that grows in value overtime. It is the only digital asset that you truly own. As such, it not only needs to be designed and configured correctly so that it can be found by your customers, but also usable by them as well. And perhaps most importantly, it needs to help them along toward that action you desire. There are certain things that can be done to the site to make it more local friendly. These include the correct use of content and code to reflect your local presence. One last important factor is to make sure your site is mobile friendly. And note, if you don’t have a website, this does not mean you can’t be found by your audience. Your Google My Business Listing – This ranks a close 2nd to your website. Google My Business or GMB is Googles free offering to all local businesses to claim their space within Google Search and Google Maps. Just consider how common it is for people to Google something. There are two types of searches to concern yourself with. These are branded searches when someone searches for the name of your business and more commonly, topical searches when someone searches for the products and/or services your business offers. The GMB listing, which consists of a Google Maps and Google+ Page, provides your business a powerful method through which to be found on Google Maps and through Google Search. In addition, GMB provides the most straight forward way of injecting into the Google Ecosystem your businesses key information. Your Business Citations – These are references to your business on third party directories and websites. Just Google the name of your business and scroll down to see these 3rd party sites which reference your business. The key concern here is making sure all these 3rd party citations are correct such as do they have the correct name, address, hours and phone number for your business. Reason being if someone references these 3rd party sites, we want this information to be correct. In addition, citations can add value to your website search rankings in an indirect manner. Reviews Of Your Business – Reviews serve as a psychological fuel for people either searching for your business by name and if they search for the product and services your business offers. Studies indicate those business with reviews and more positive reviews online receive more attention than those that don’t. As such, you need to be capturing reviews properly as well as managing them such as in responding to them appropriately. Links To Your Website – Having appropriate and natural links to your website will help it in the search rankings. (Essentially, whether it shows up when a search is conducted for the product and/or services your business offers.) When we say appropriate and natural, we are talking about links from websites that are aligned logically with your business. For example, links from your local chamber of commerce, local business associations, trade groups and more. The building of links is something that occurs over time. Your Social Media Presence – Your presence on social media can serve several purposes. For example, it can provide a measure of social proof, allow interaction with your audience, can help build out your digital footprint when it comes to search and more. The key thing to consider is the amount of effort you put into it and the return you get for the effort. And remember, you do NOT own your social media presence. You are simply renting it. Summary – We’ve listed the key elements of your online marketing presence. With these elements optimized, more advanced local search marketing efforts can take place. Like to learn how we can help you with the above key online marketing elements as well as more advanced local search marketing efforts? Then visit our local online marketing page to learn more.